Aspiring to be Relevant, to Incite Worship and Create Community. 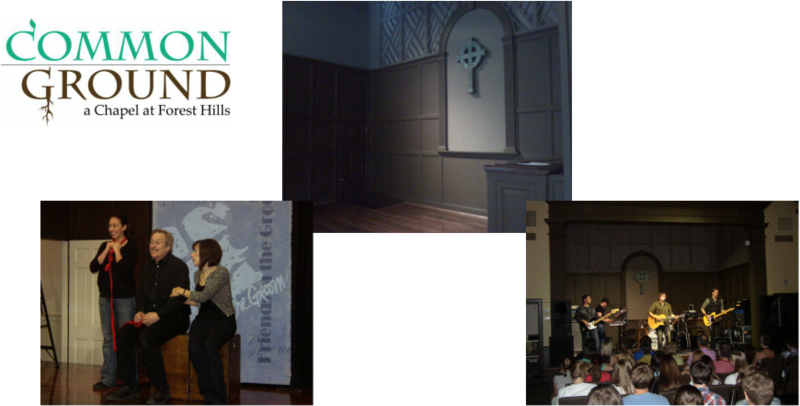 Common Ground is a re-purposed sacred space established to nurture the gift of creativity in the hearts of the Forest Hills Congregation and within the community. As a performing arts venue, Common Ground has already been host to professional concerts and theatrical performances as it is a multi-purpose media space with sound and high definition projection.